Please join me this morning on Graphic 45's Blog as we get a closeup look at some Dreamy Christmas Decor and Gift Ideas from Maggi Harding and myself. I created a cute little cottage that I call Luminary House. 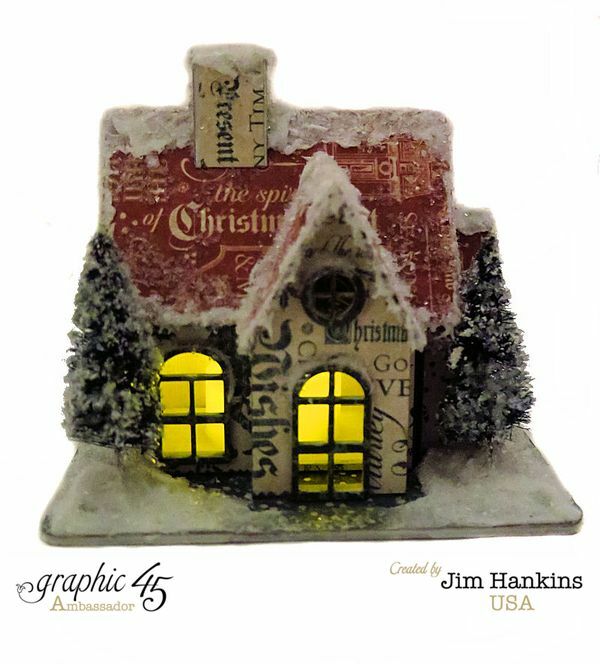 I covered the house with Graphic 45's Christmas Carol Paper Collection! Love this collection! You just add a tea light to the interior and it glows with Christmas Magic! Will you have a tutorial with measurements?